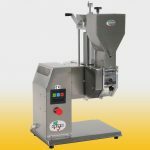 P17 is a pasta machines suitable for restaurants, hotels, communities, bakeries and supermarkets; the pleasant look makes it perfect to be used in front of the customer. It makes a lot of different shapes and sizes of fresh pasta like spaghetti, bucatini, fusilli, maccheroni, tagliatelle. 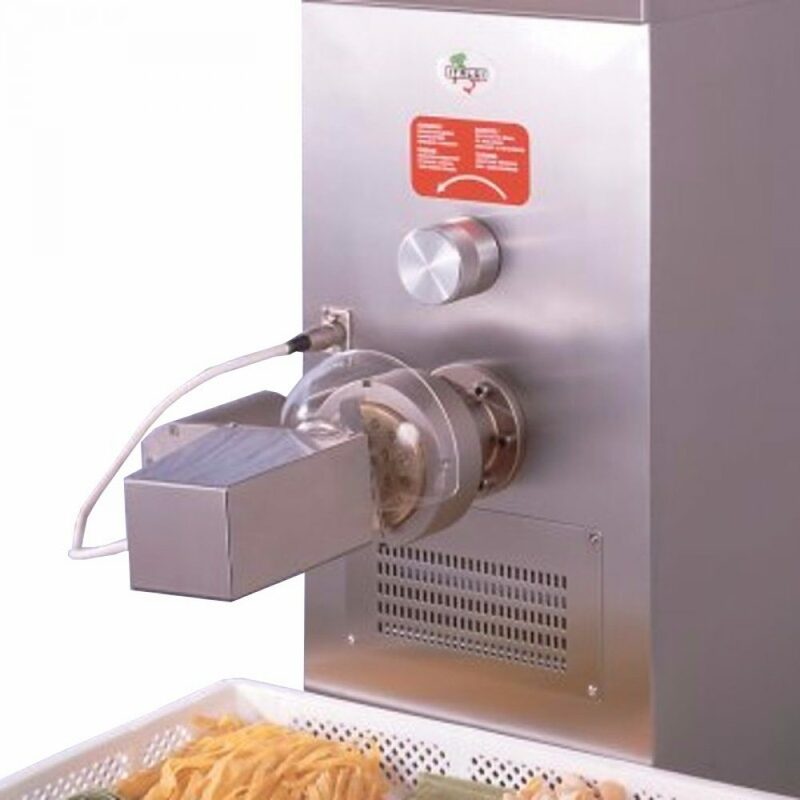 With a special die it also makes penne or pasta sheets for lasagne. 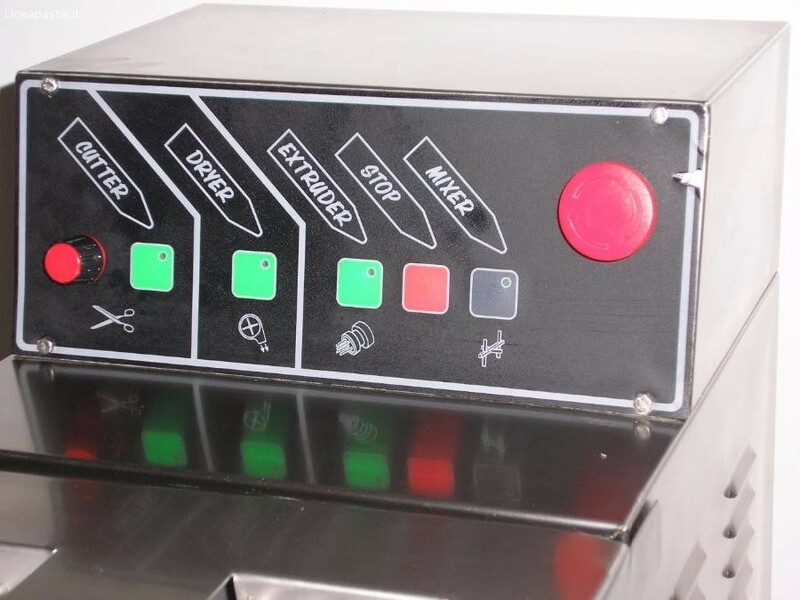 The machine is very easy to use and service, thanks to the simple and reliable mechanics and the compact electronic panel. 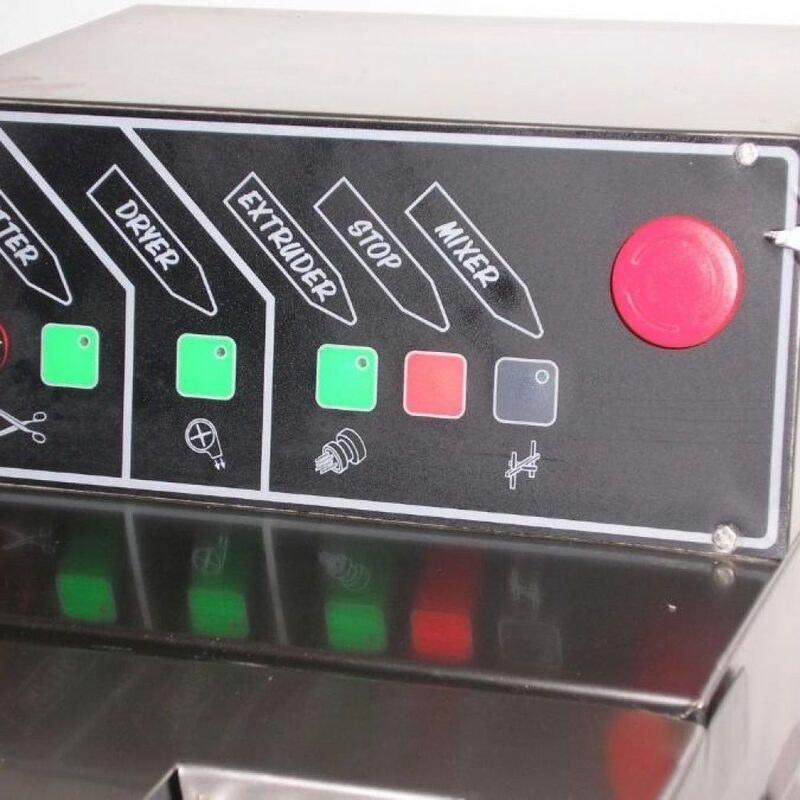 In order to keep the machine in the best hygienic conditions and make it last longer, the mixing hopper, the worm gear, the mixing arm and the body are made of AISI 304 stainless steel. The absence of groves where food residuals can hide make it very quick to clean. 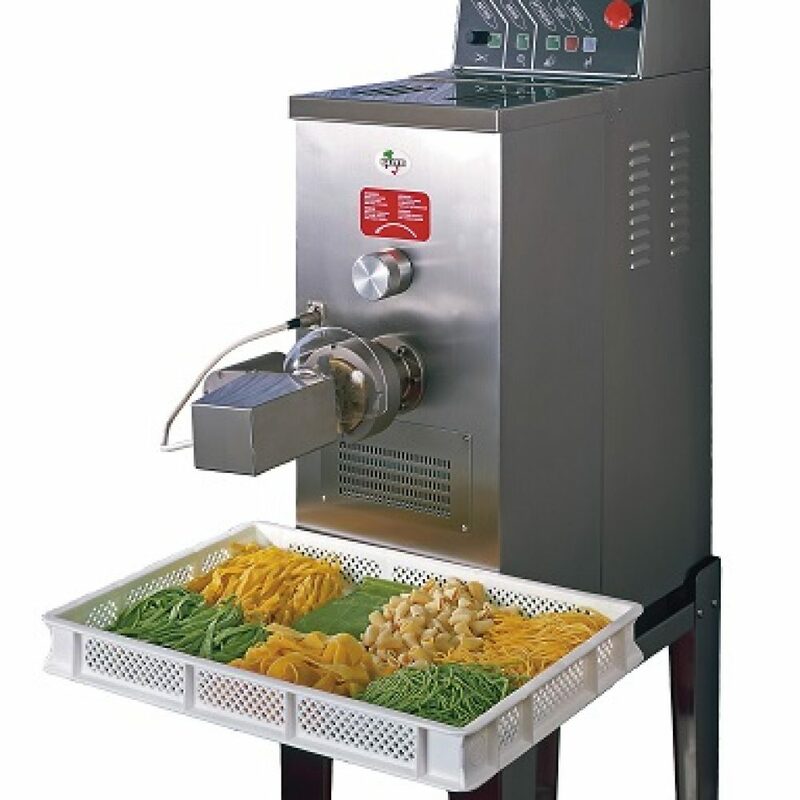 For user safety, every potentially harmful part of the pasta machines have suitable safety protection. 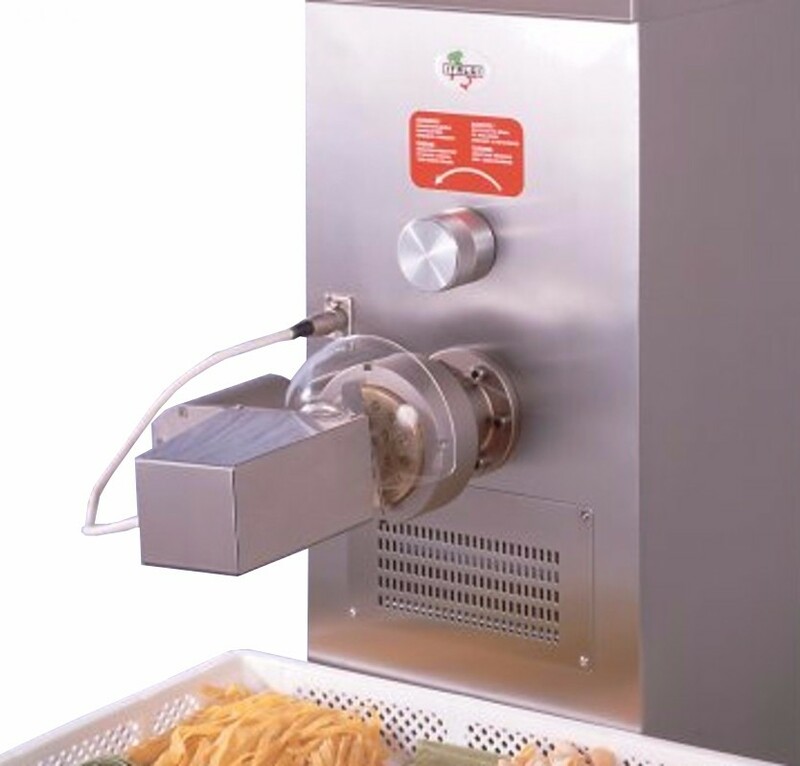 The pasta extruder is available 220 Volts single phase, 240 Volts single phase and 380 Volts triphase. 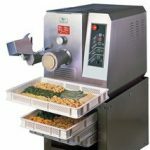 The standard equipment includes the electronic cutter for short pasta (like fusilli, gnocchetti, maccheroni…), a stainless steel trolley and a fan for superficial drying of pasta. 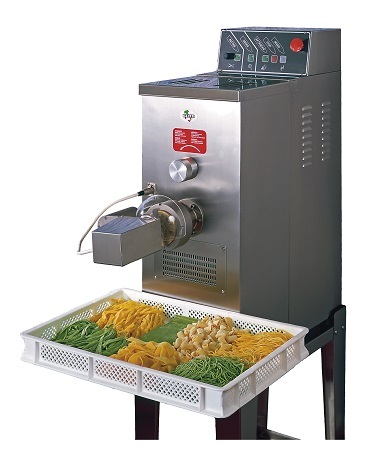 The P17 is perfect to be used together with ravioli machines.